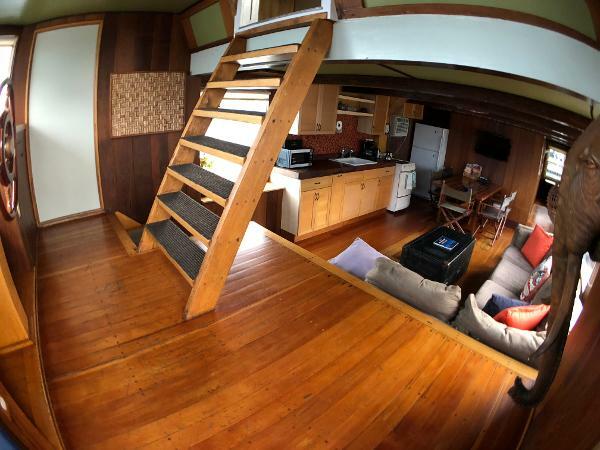 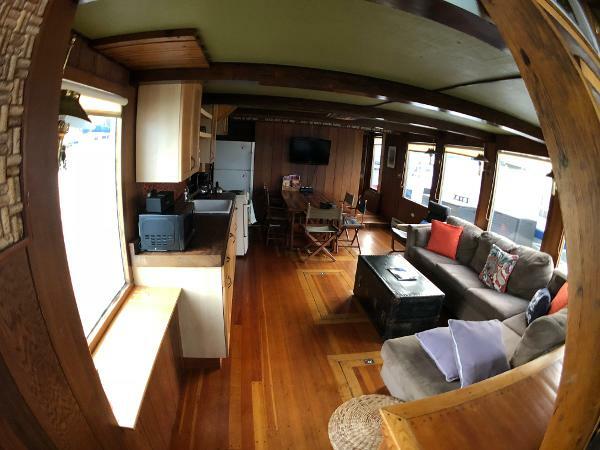 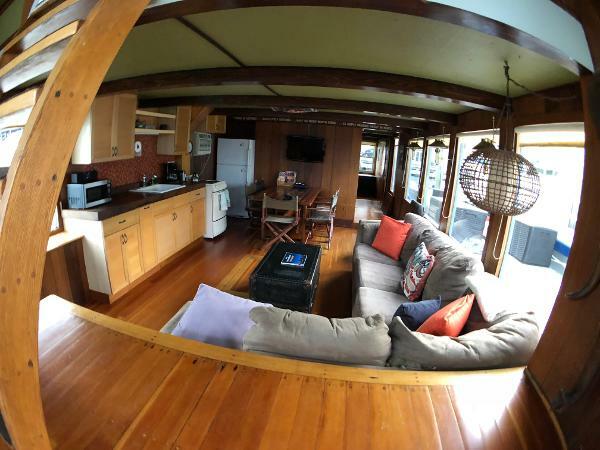 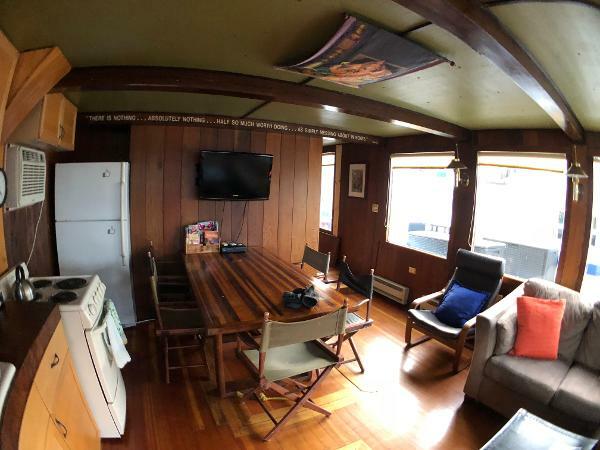 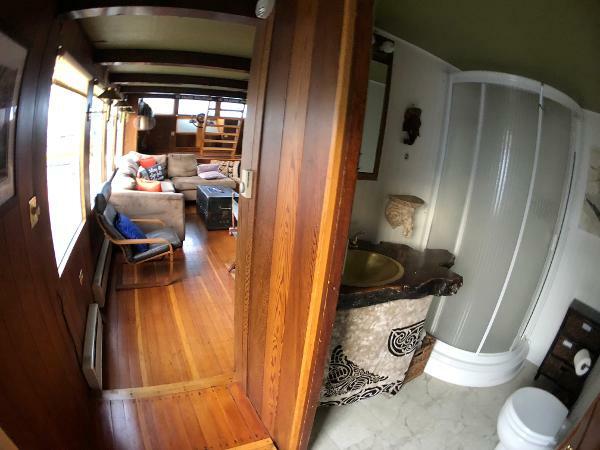 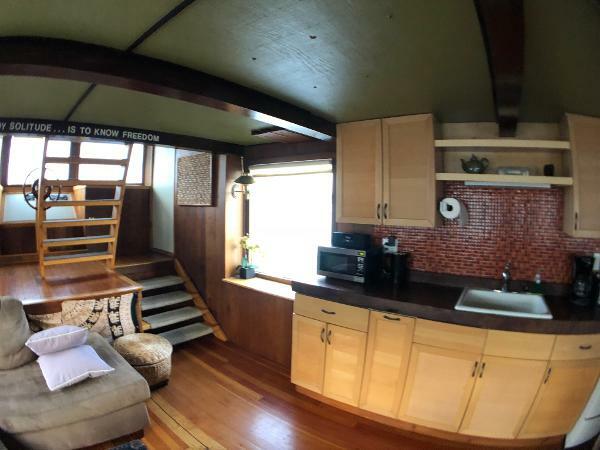 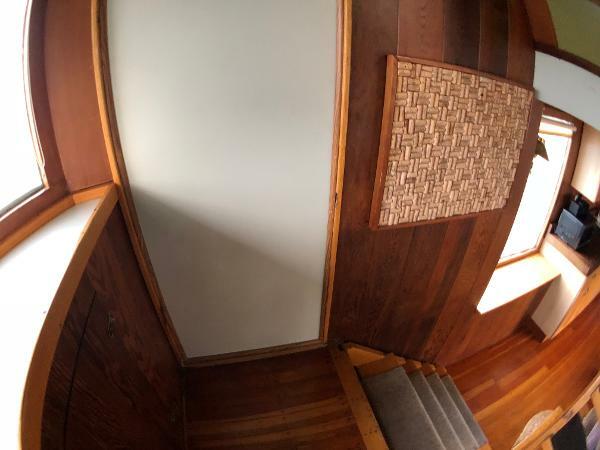 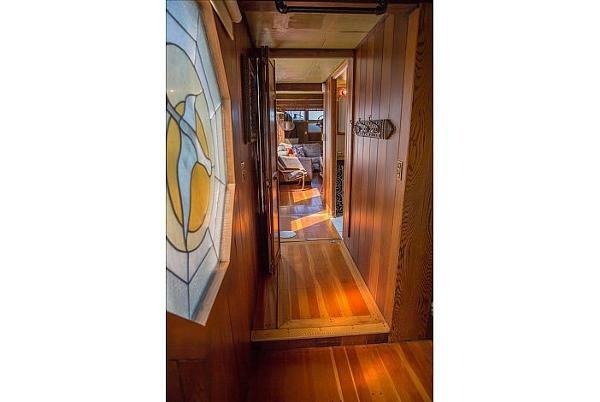 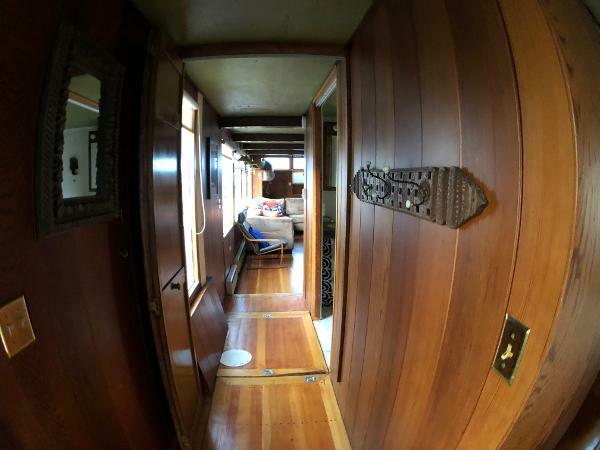 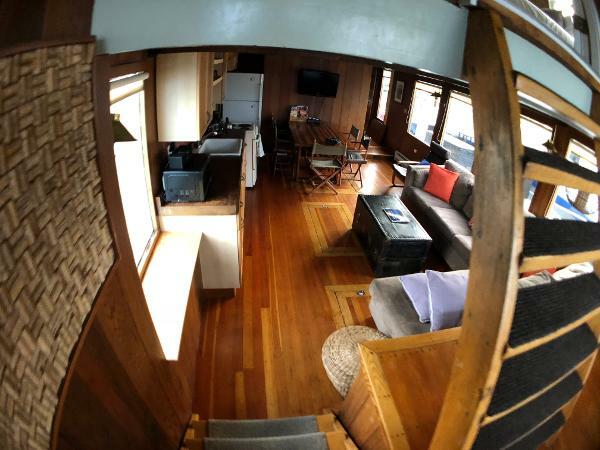 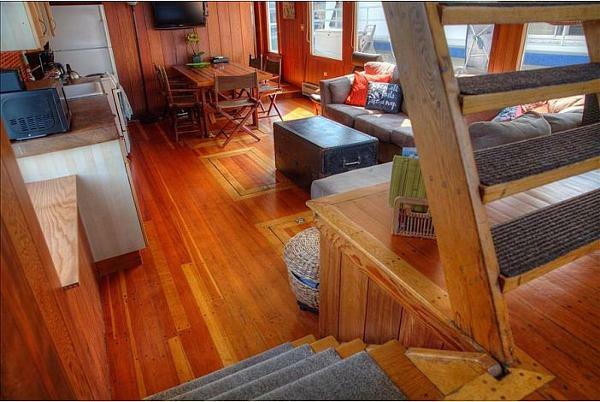 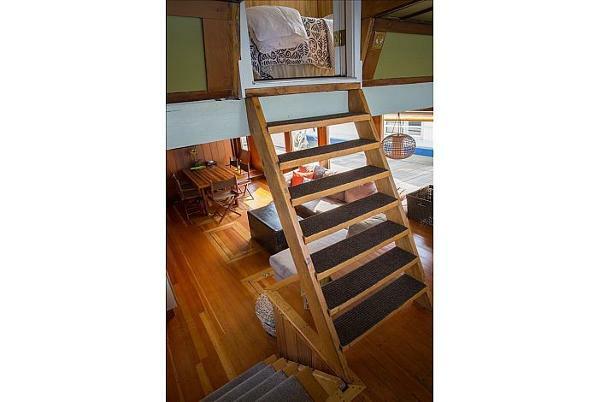 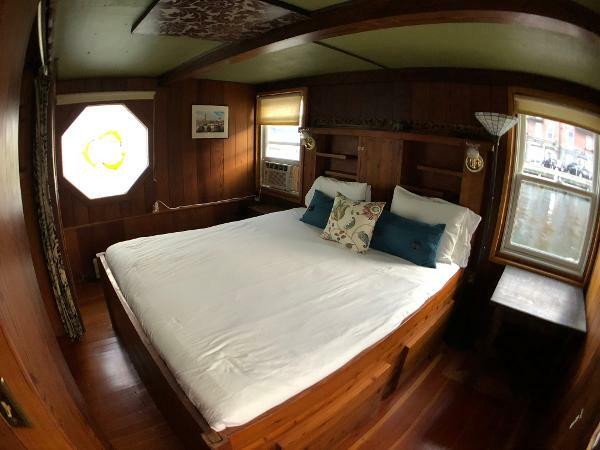 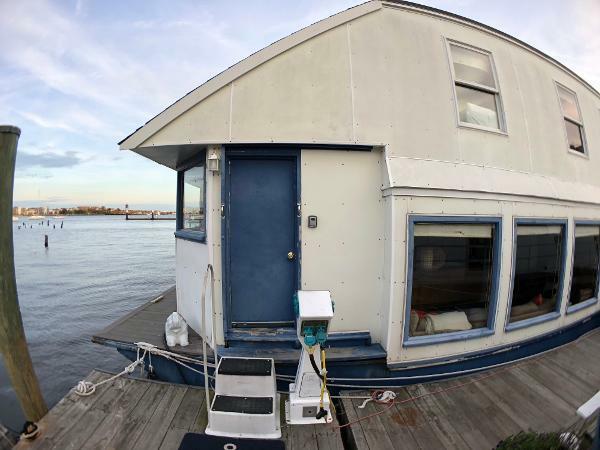 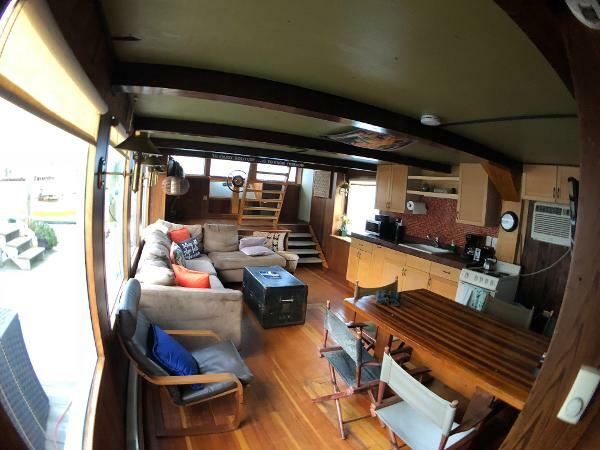 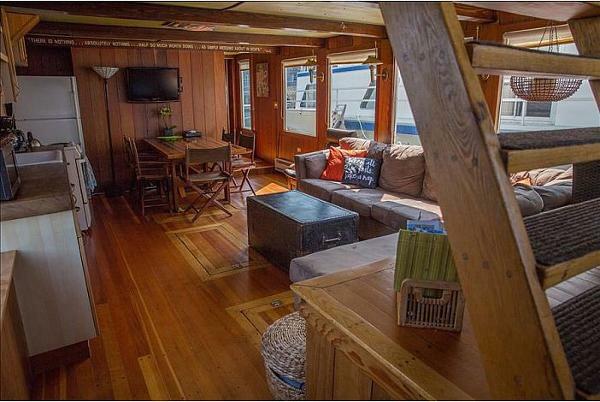 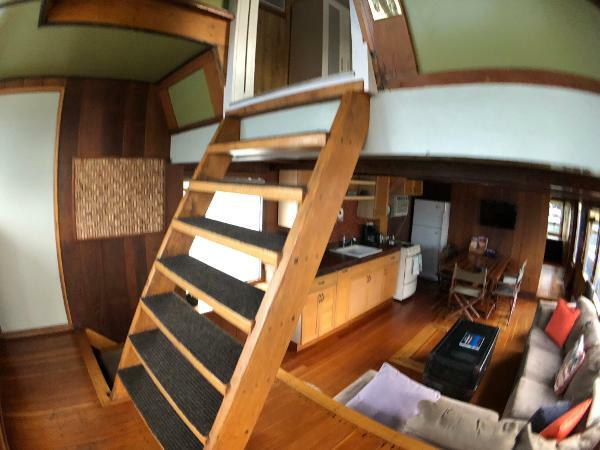 Stunning custom built, 3 bedroom, 2 bath houseboat. 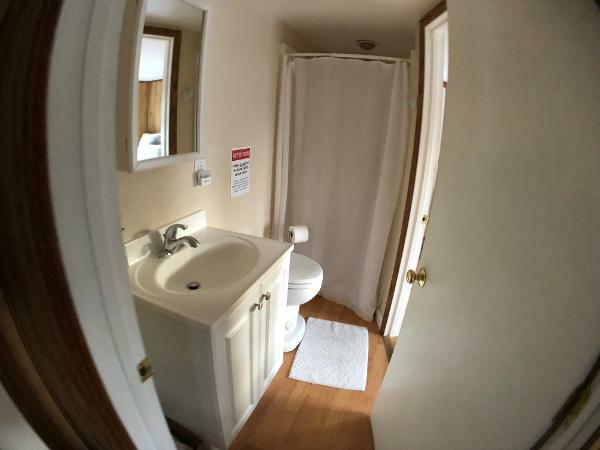 Turn-key, highly profitable rental business. 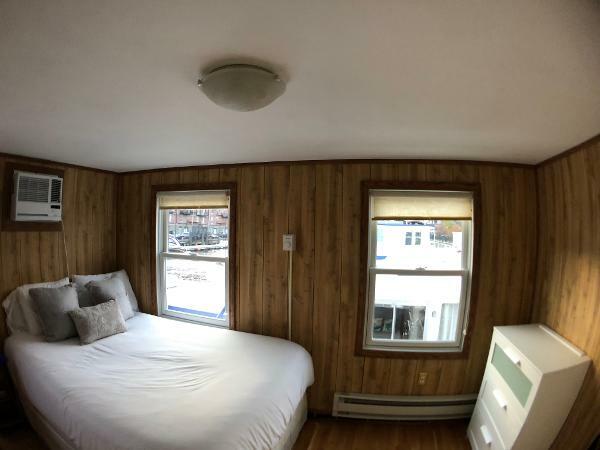 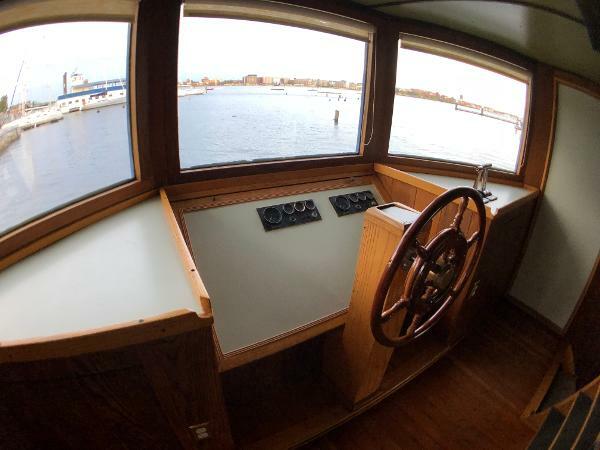 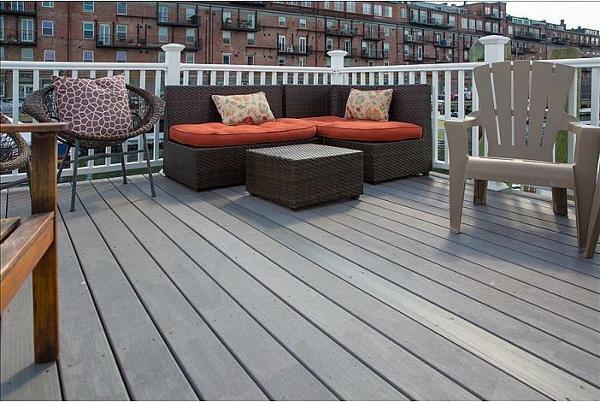 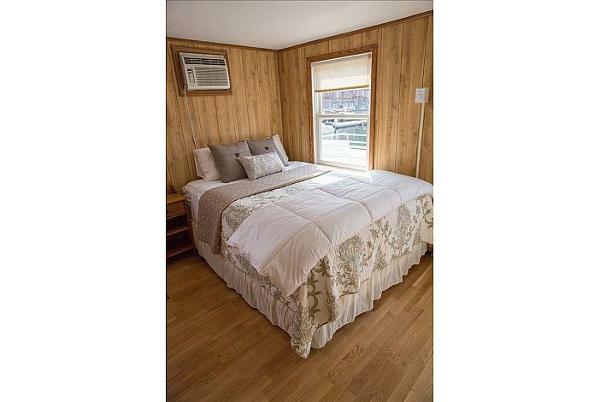 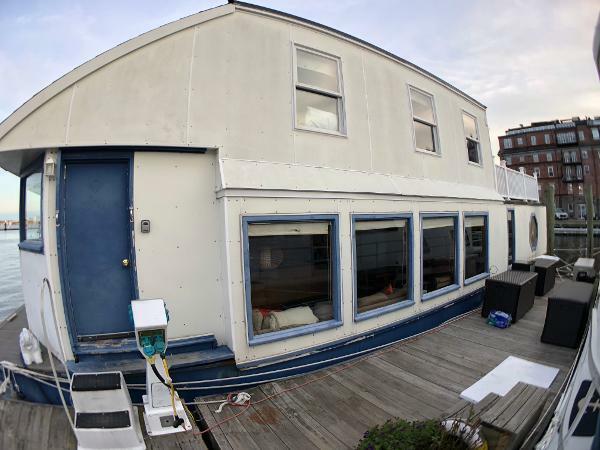 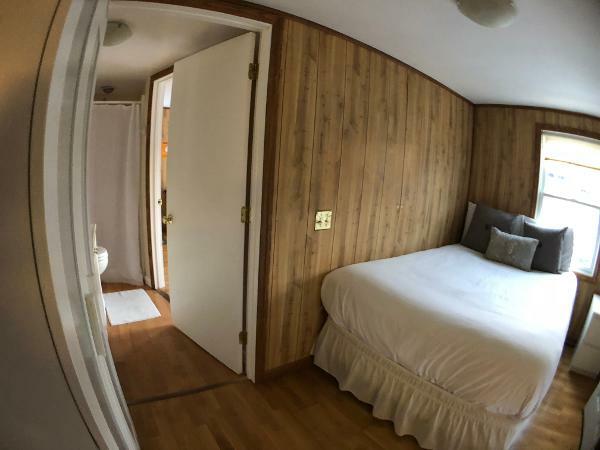 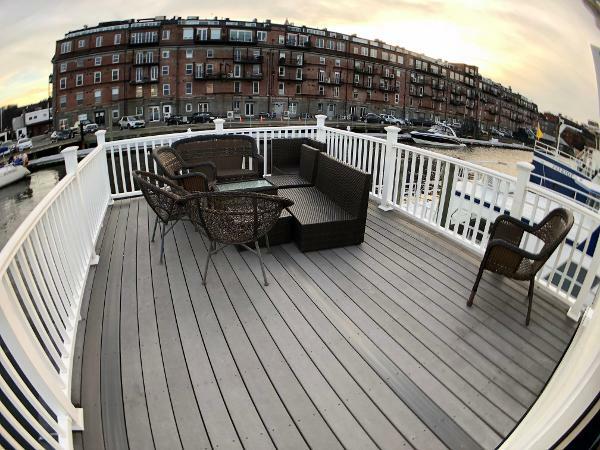 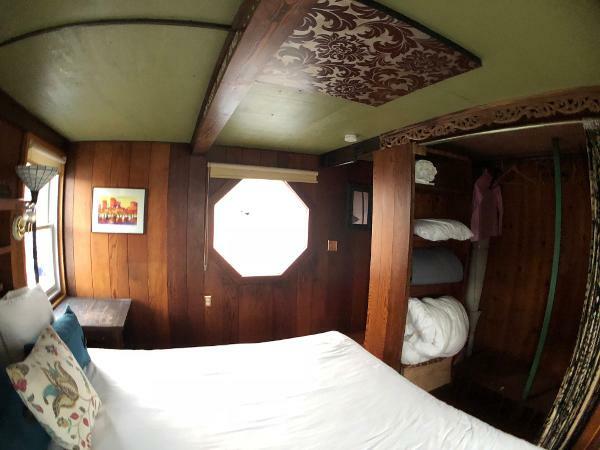 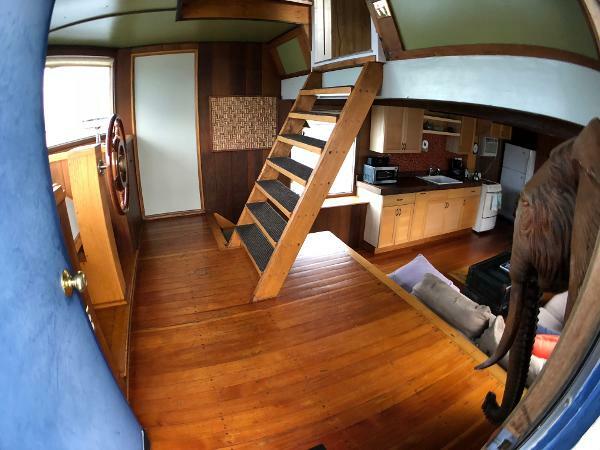 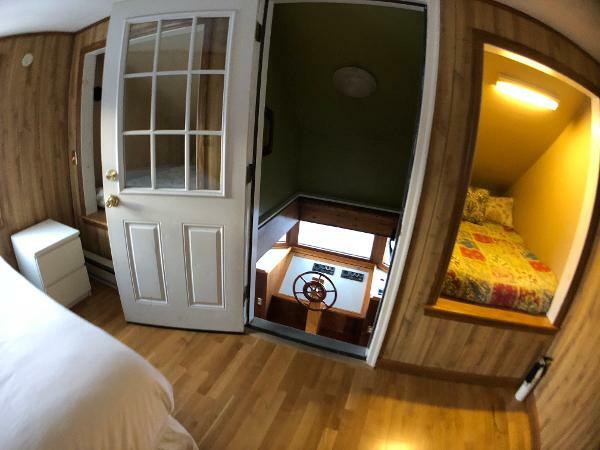 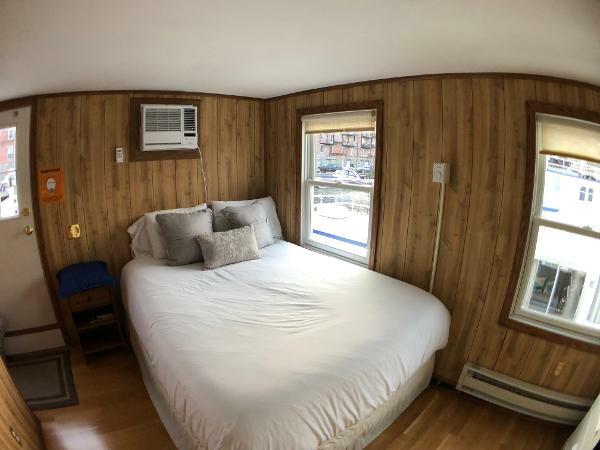 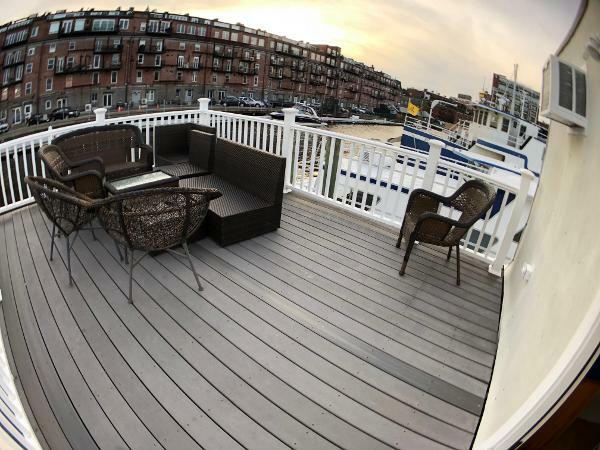 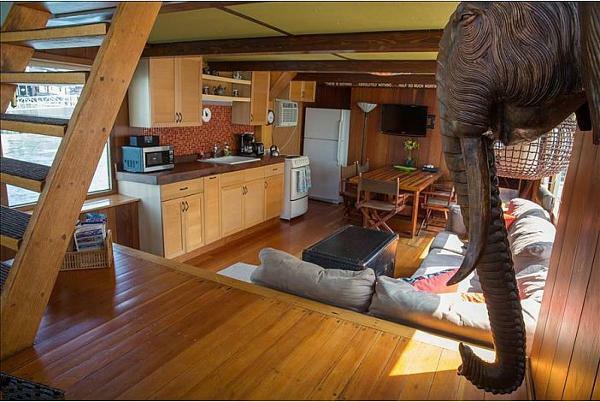 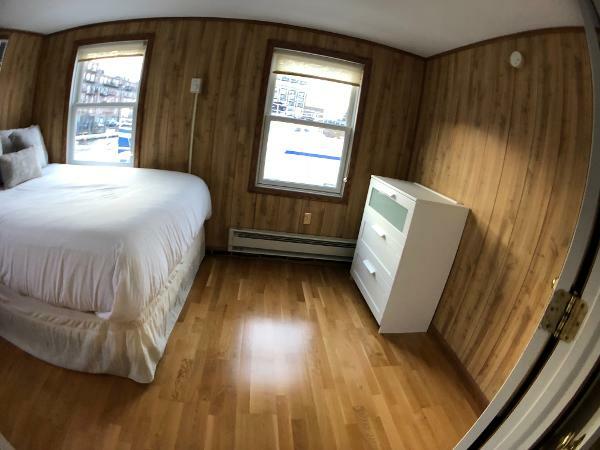 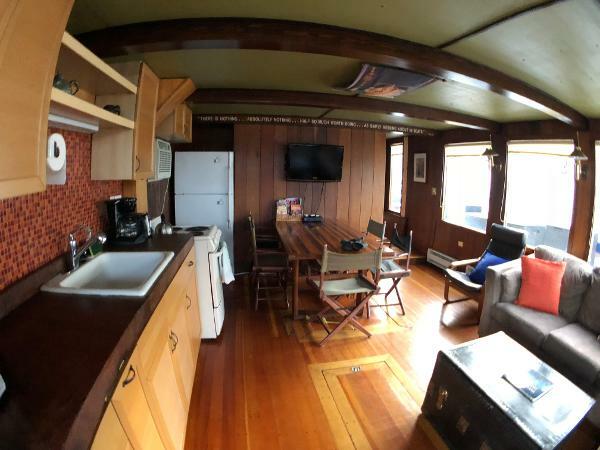 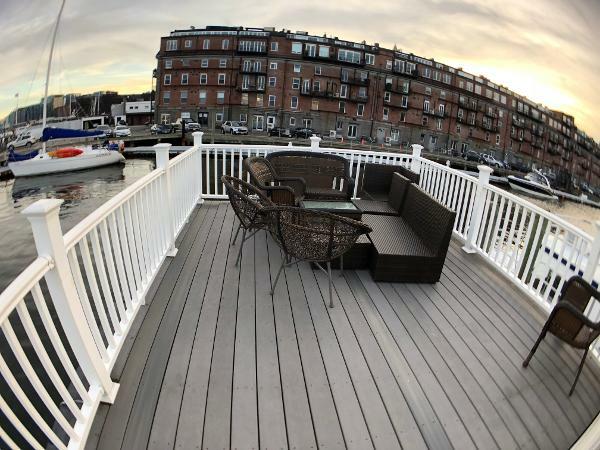 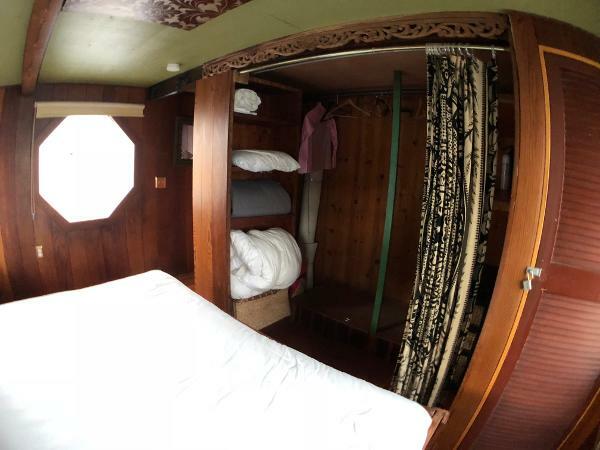 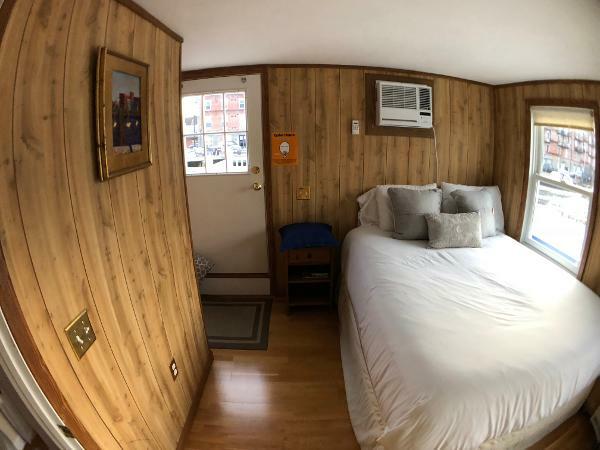 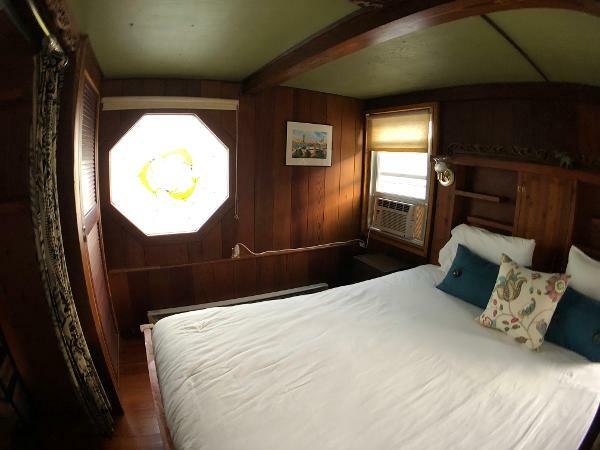 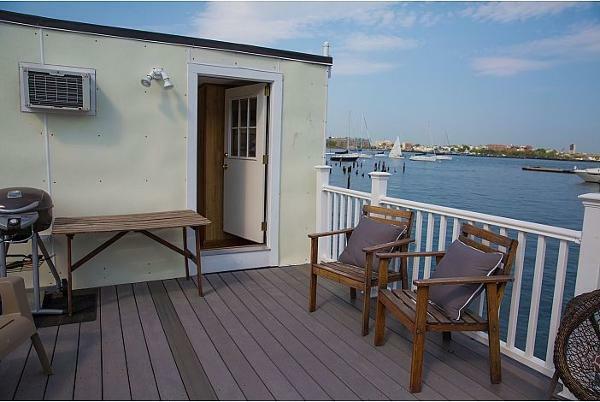 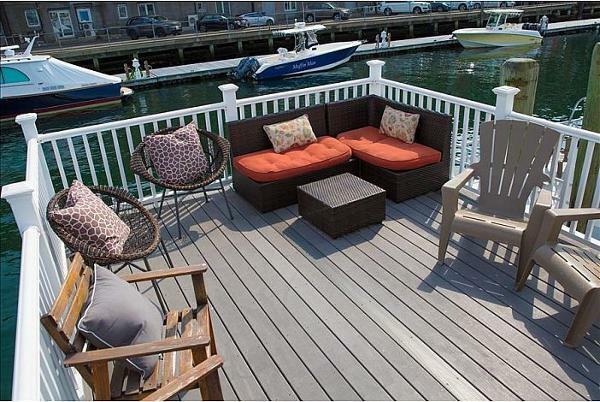 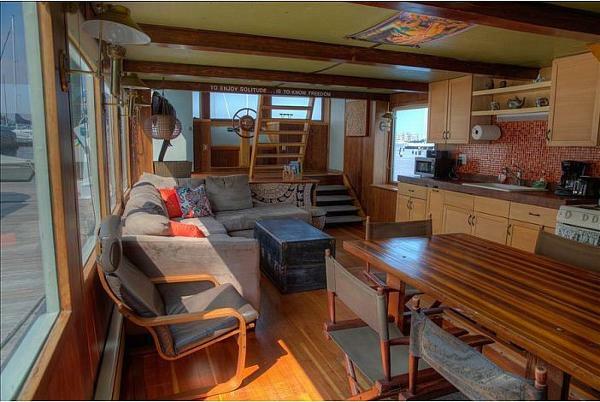 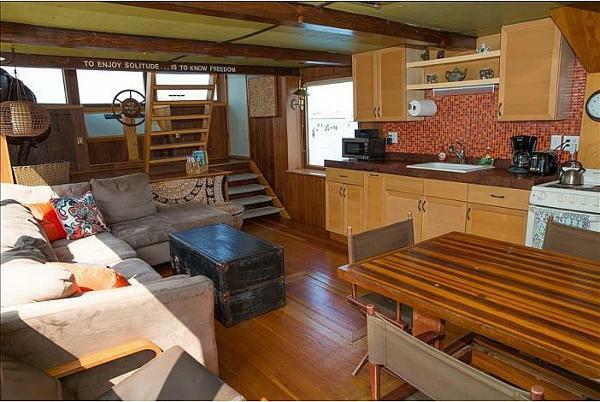 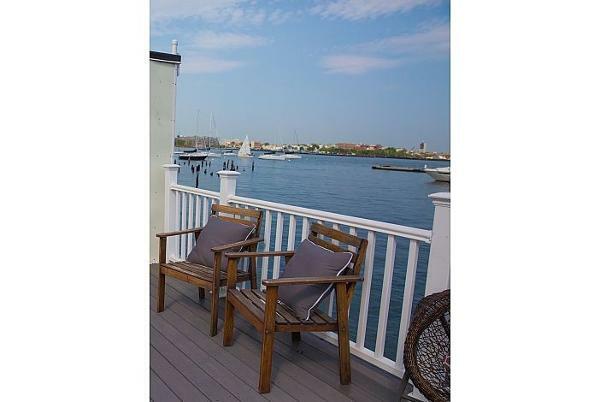 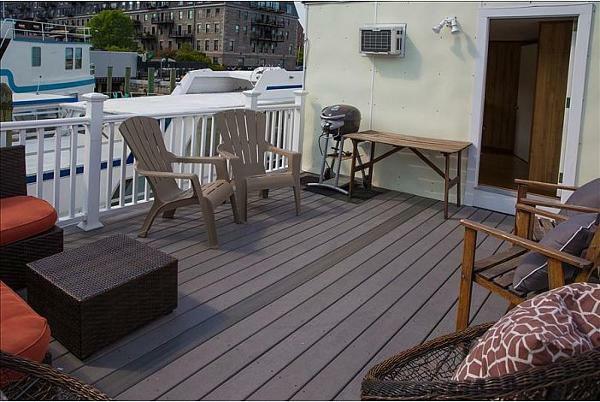 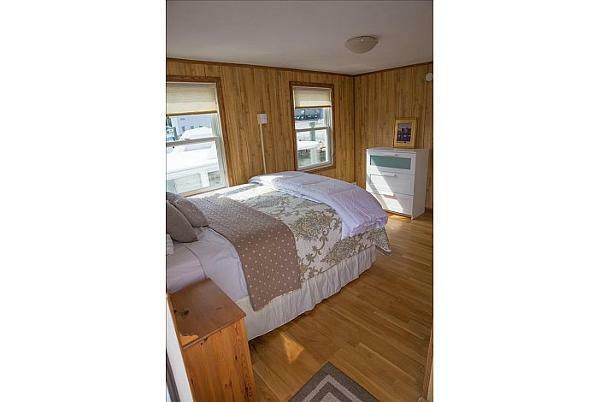 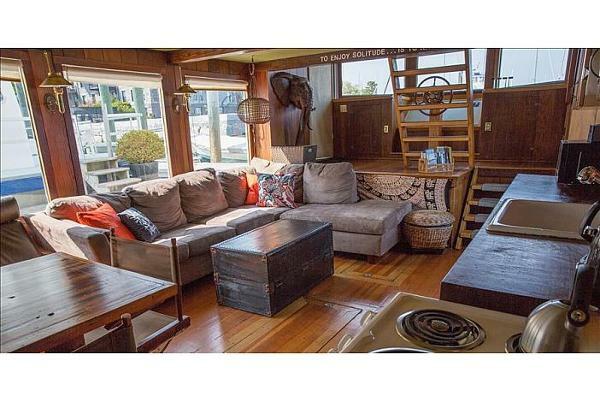 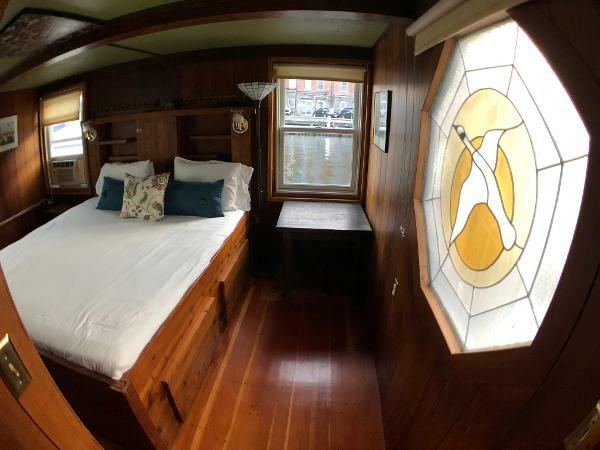 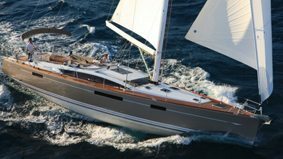 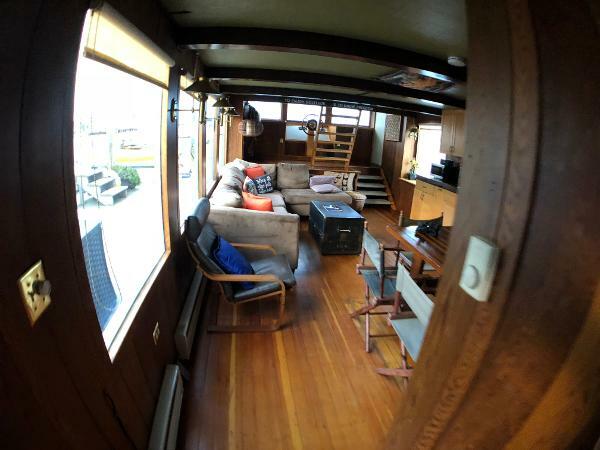 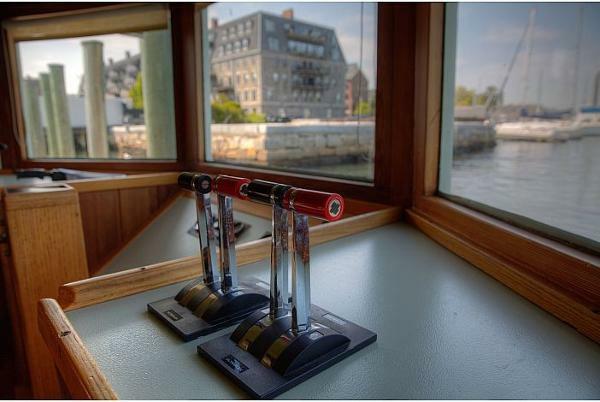 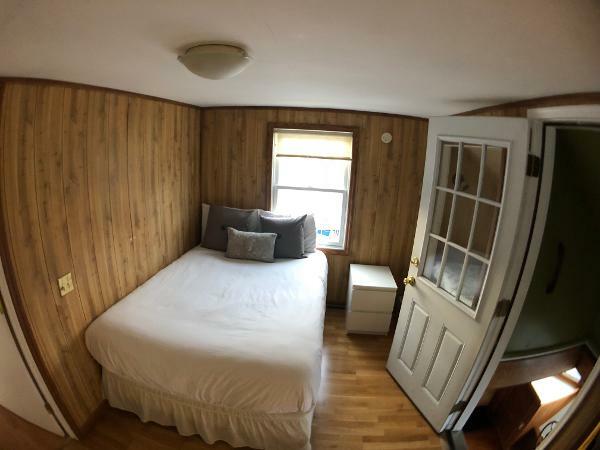 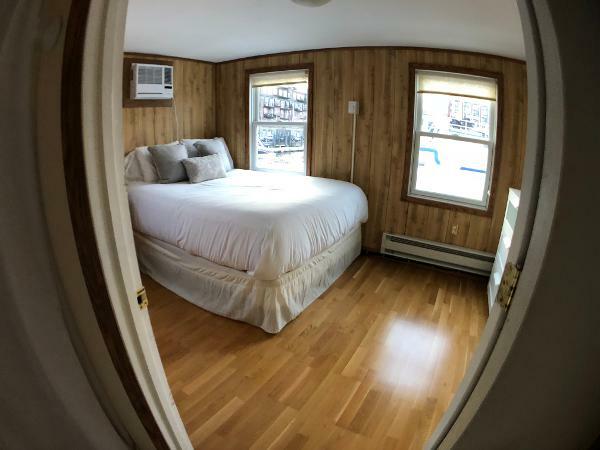 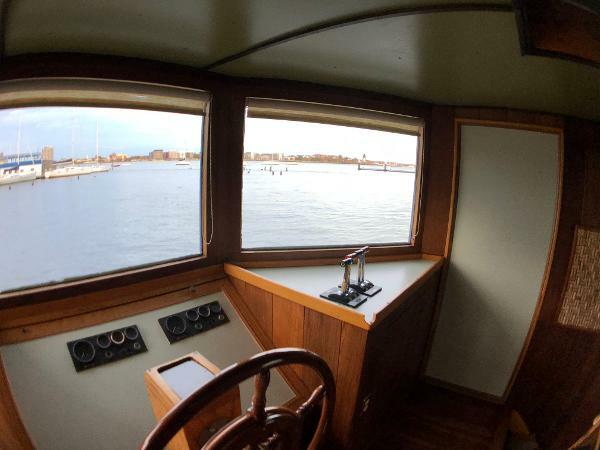 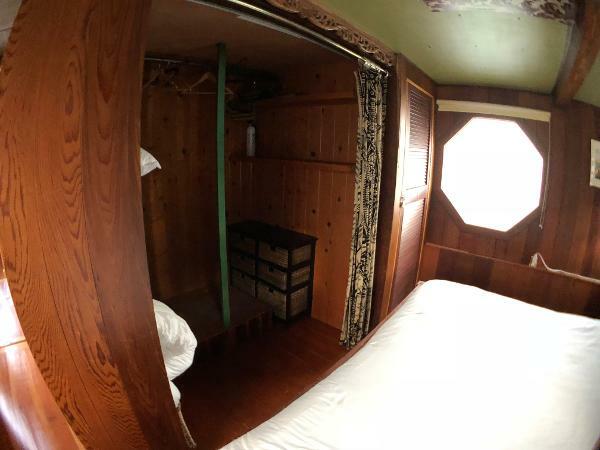 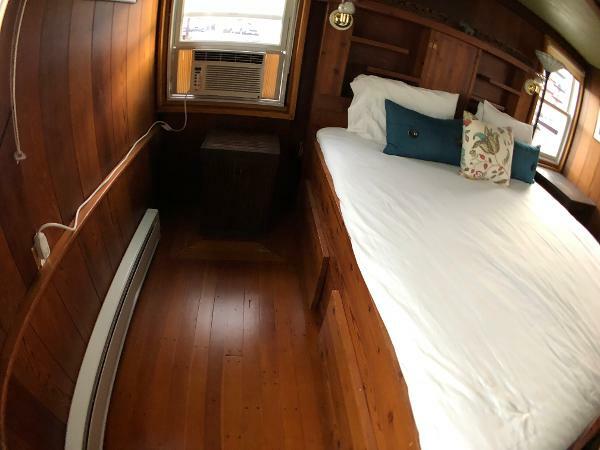 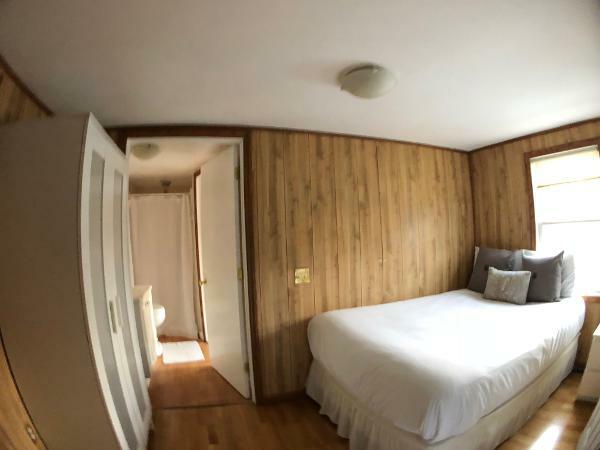 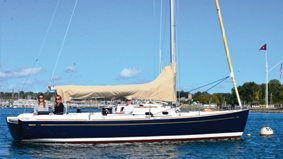 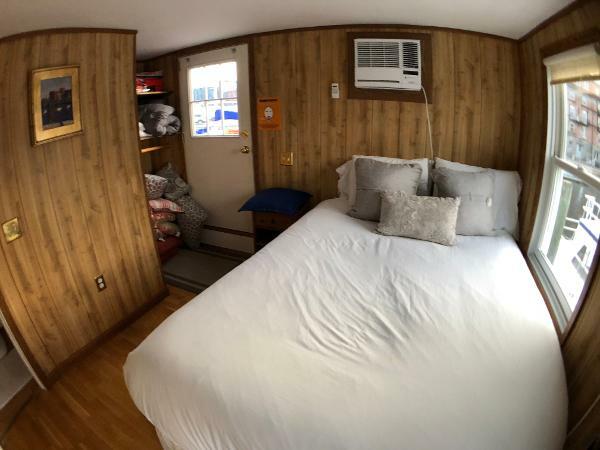 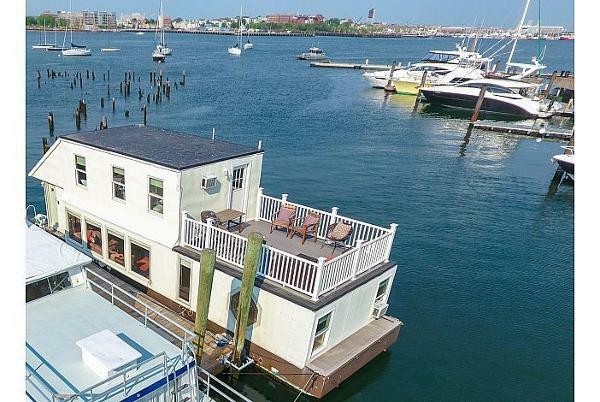 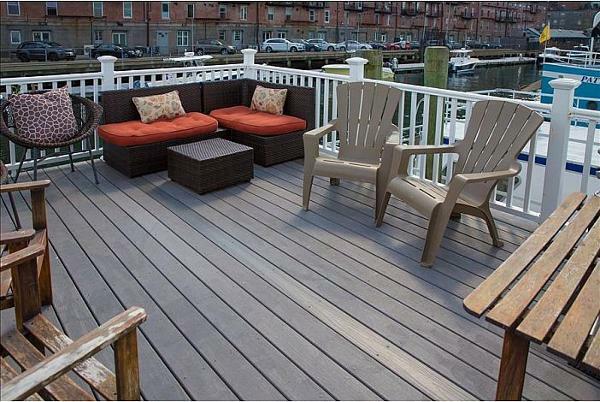 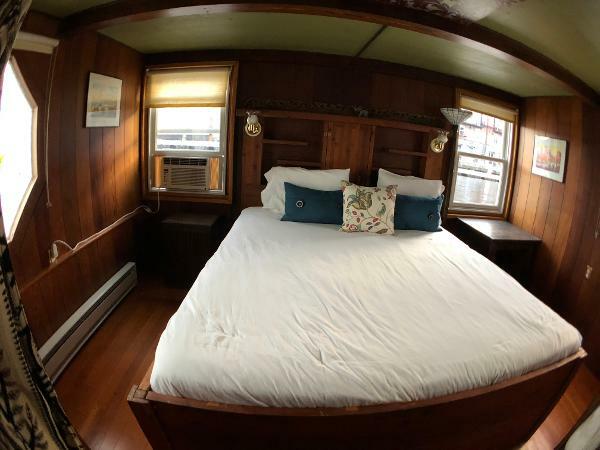 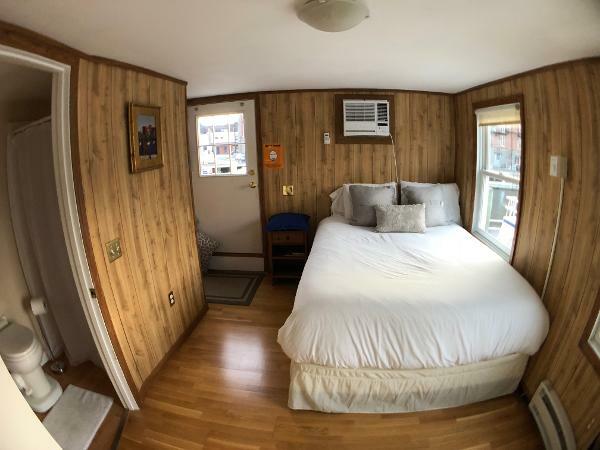 This vessel is ready to make her owners serious $ as a bnb rental in Boston's stunning North End neighborhood. 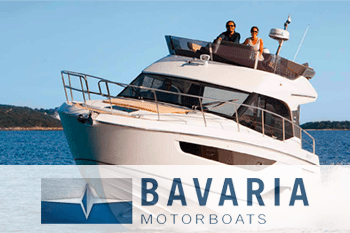 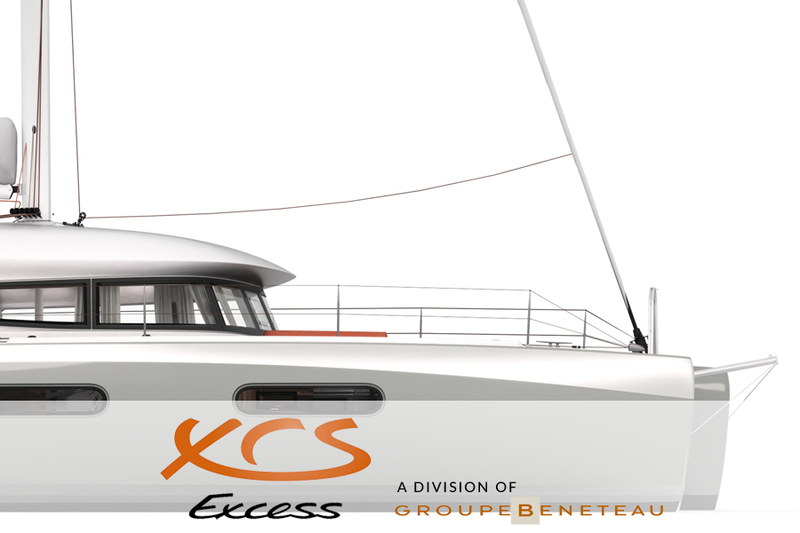 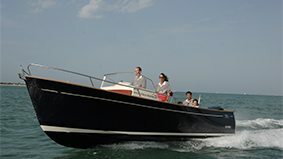 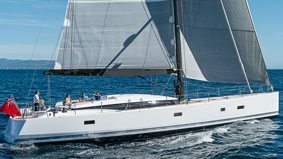 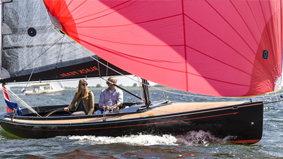 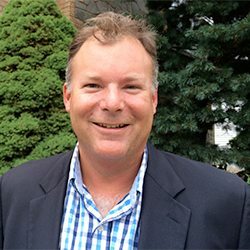 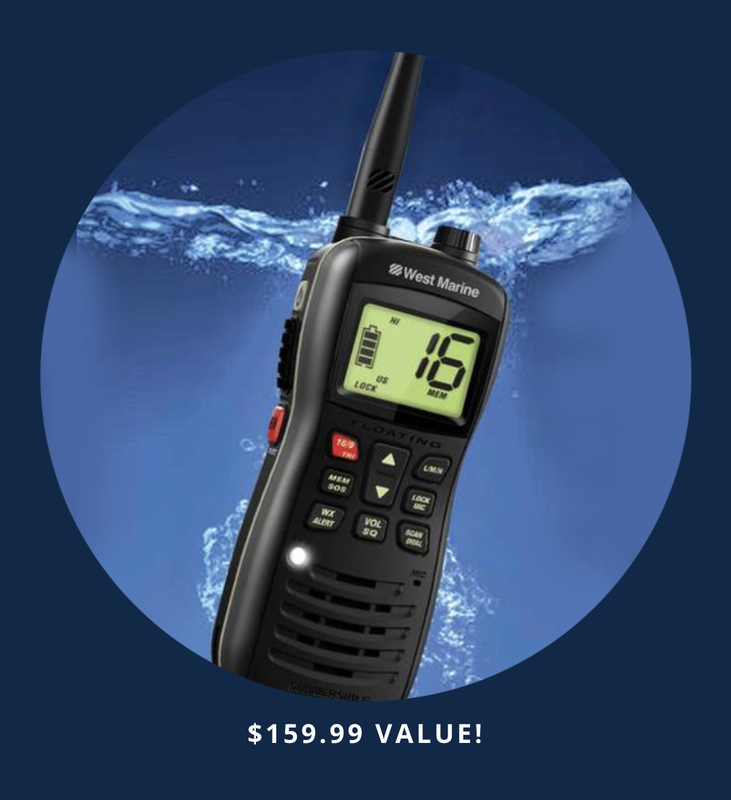 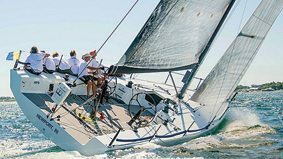 Slip reserved for 2019 season for this boat to stay in rental management program. 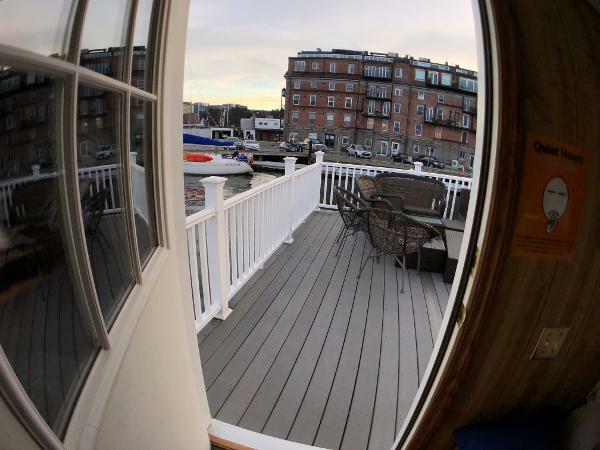 Vessel must remain in rental management in Boston for at least 2 years. 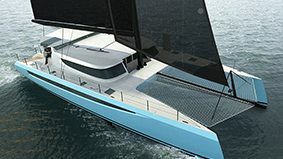 Serious income! 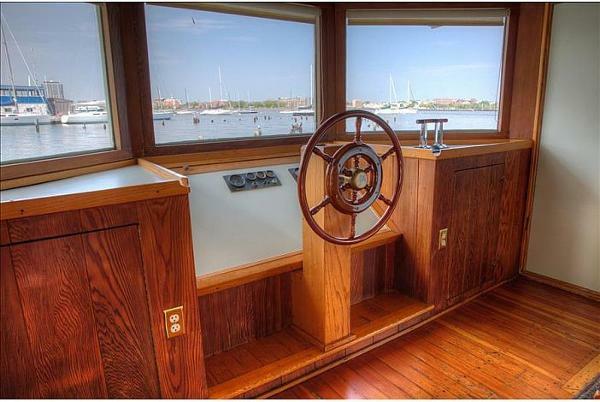 Entrance is just above first floor level with a panoramic view and a real steering wheel. 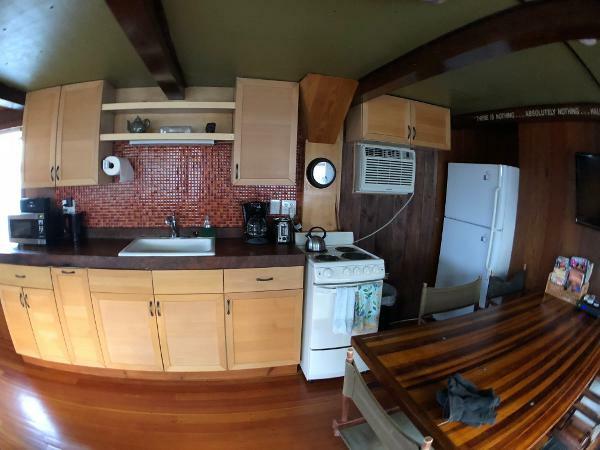 Large Living room/Kitchen area comes fully furnished with fridge, stove, oven, and couches. 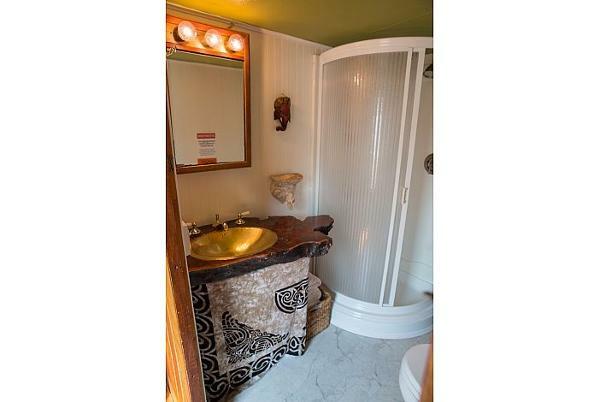 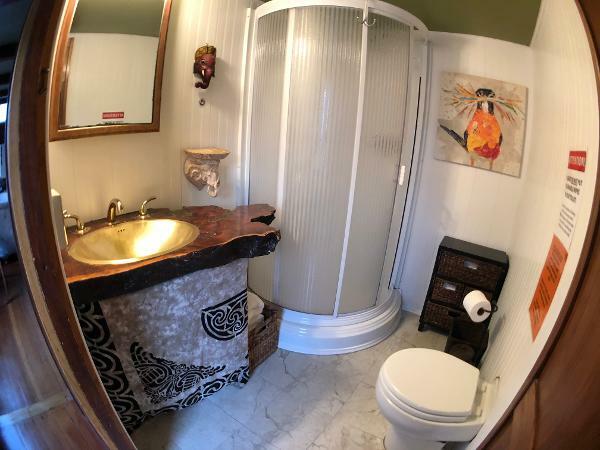 Past living room is master bathroom featuring a shower stall and household style flush toilet. 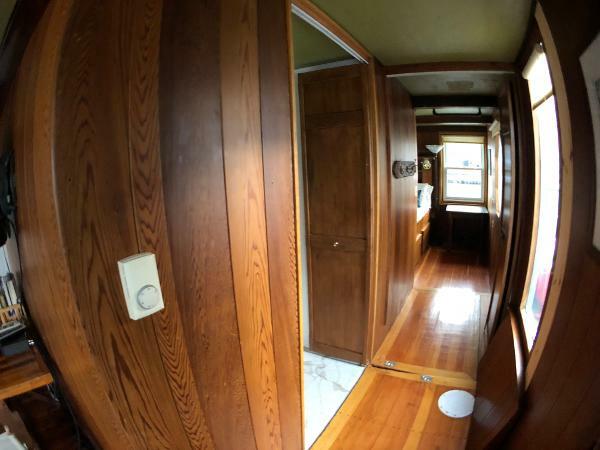 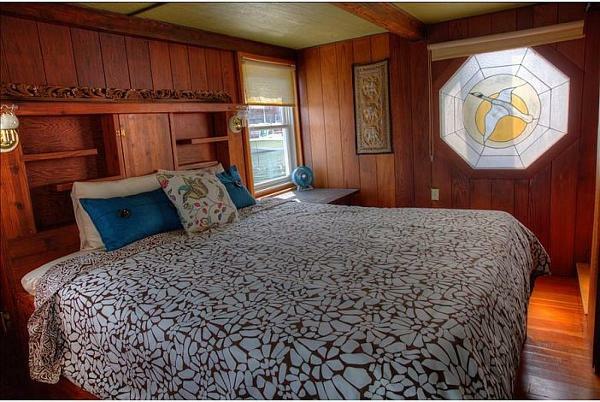 Continuing on lower level is master bedroom featuring stained glass windows, queen sized bed, and walk in closet. 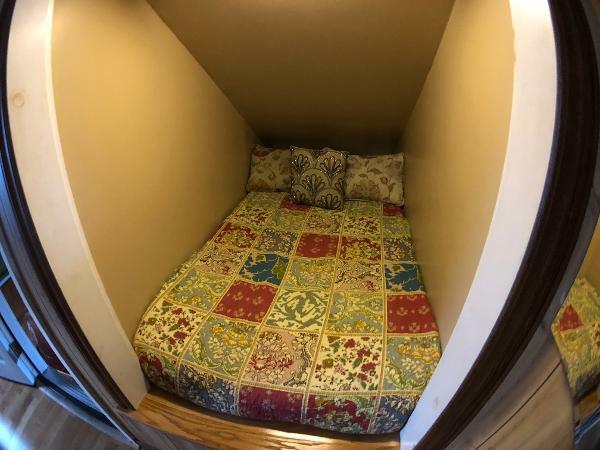 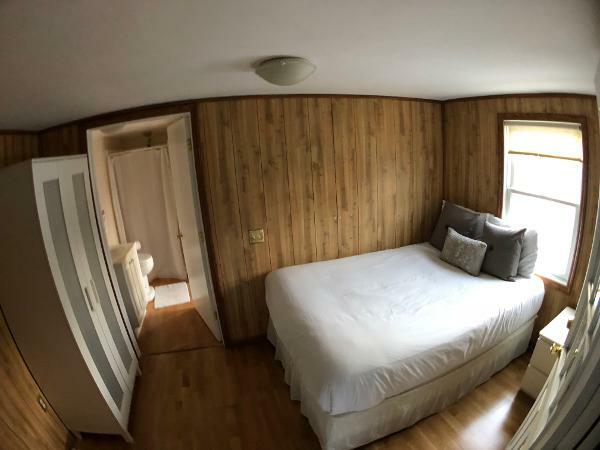 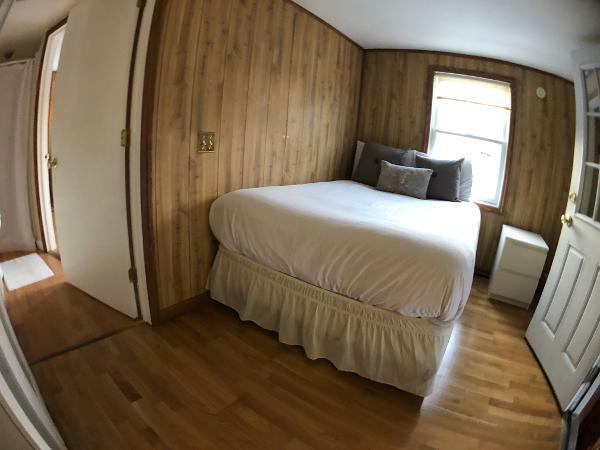 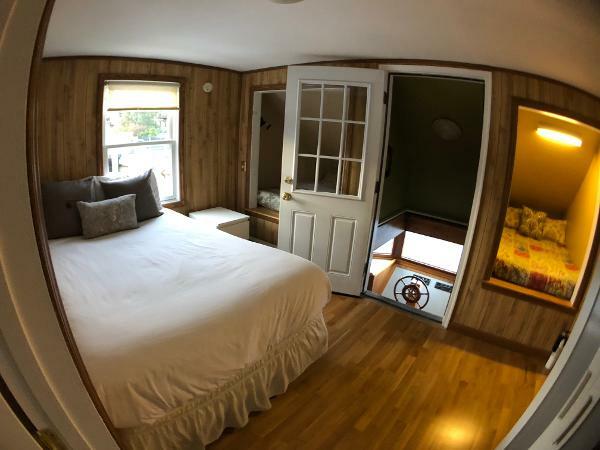 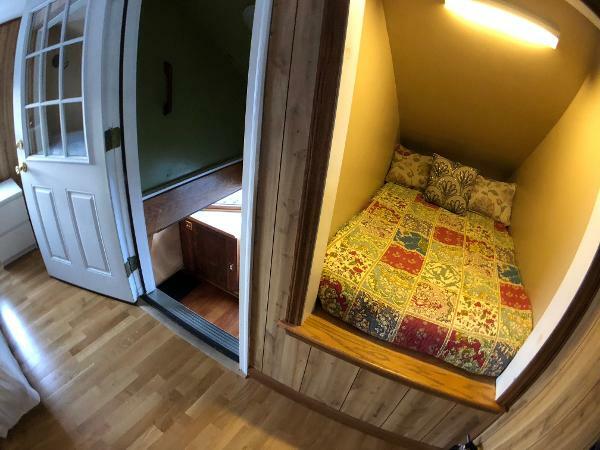 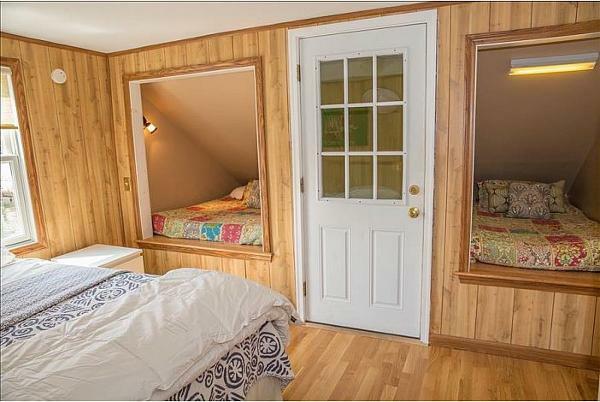 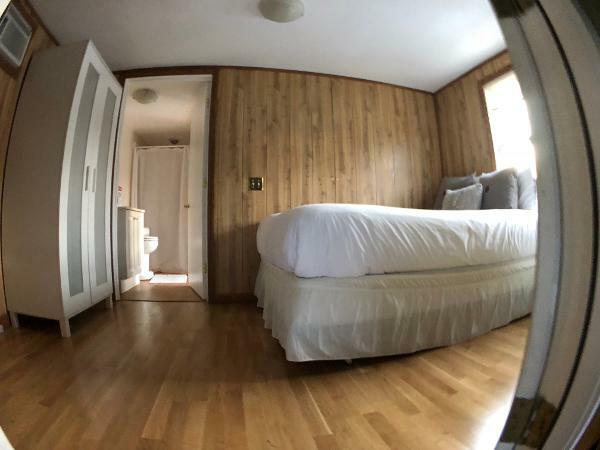 Walking upstairs from the entryway is the second bedroom with a double bed and a twin size sleeping nook perfect for kids or 1 adult. 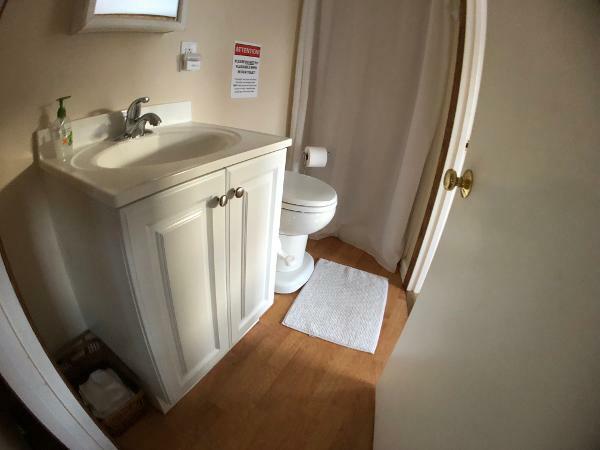 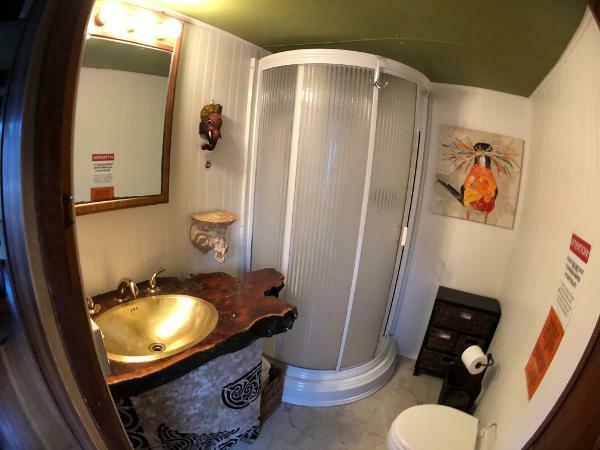 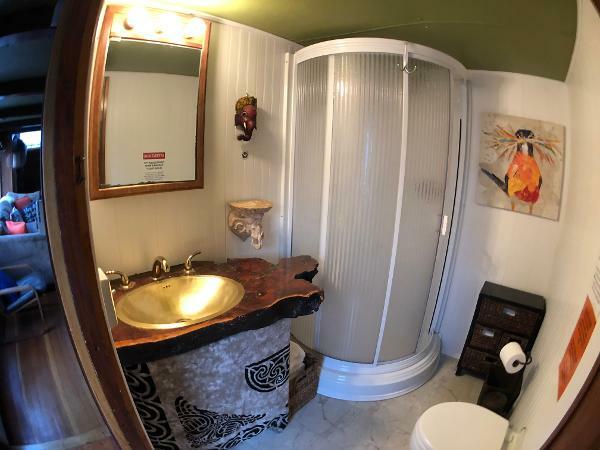 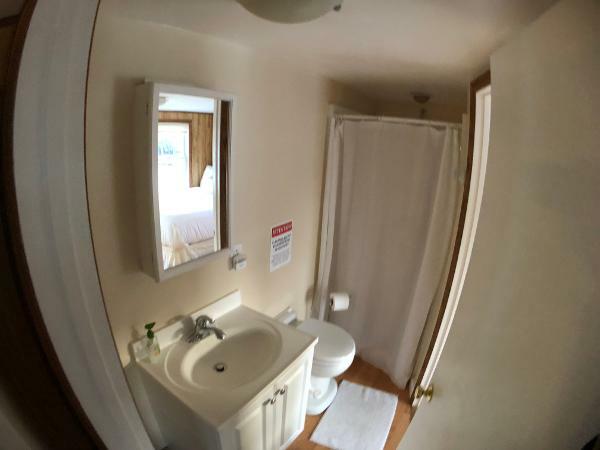 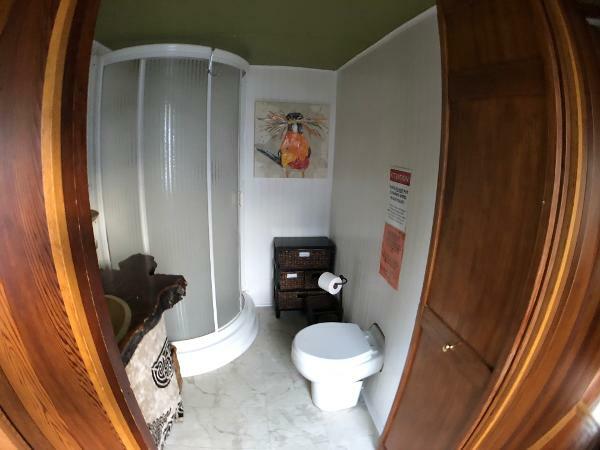 Next is the upstairs bathroom with toilet and shower stall. 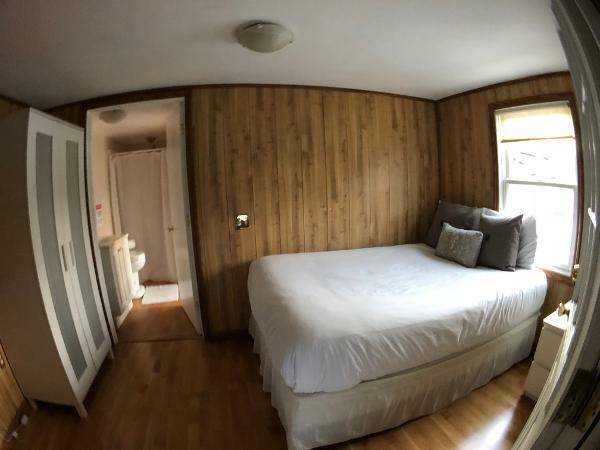 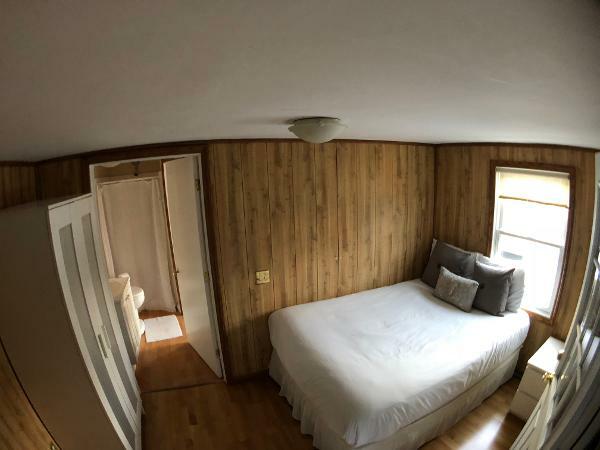 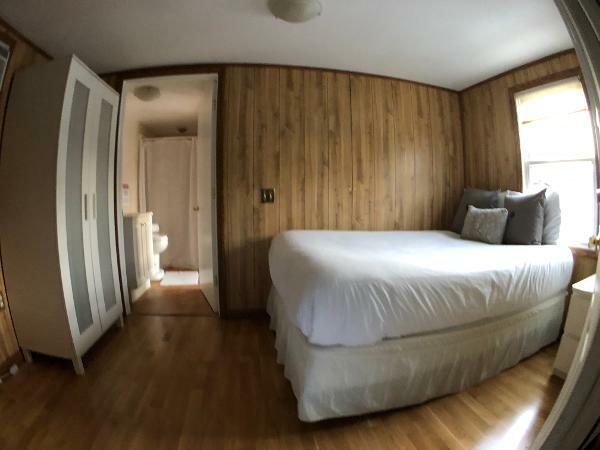 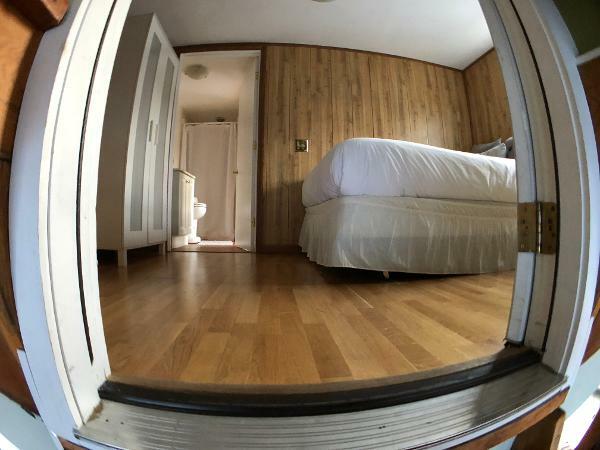 Past bathroom is third bedroom with another double bed and door opening out onto the incredible second floor patio. 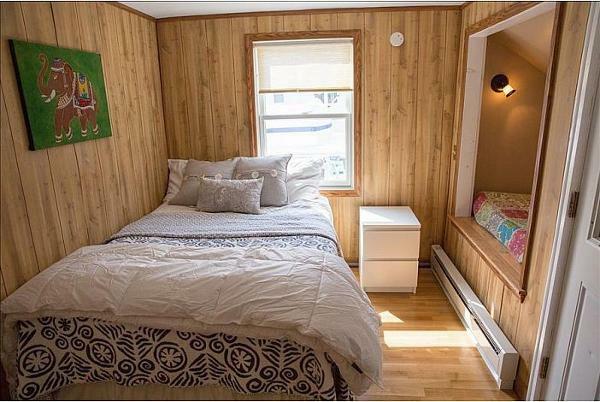 Central, thermostatically controlled air conditioning and baseboard electric heating.